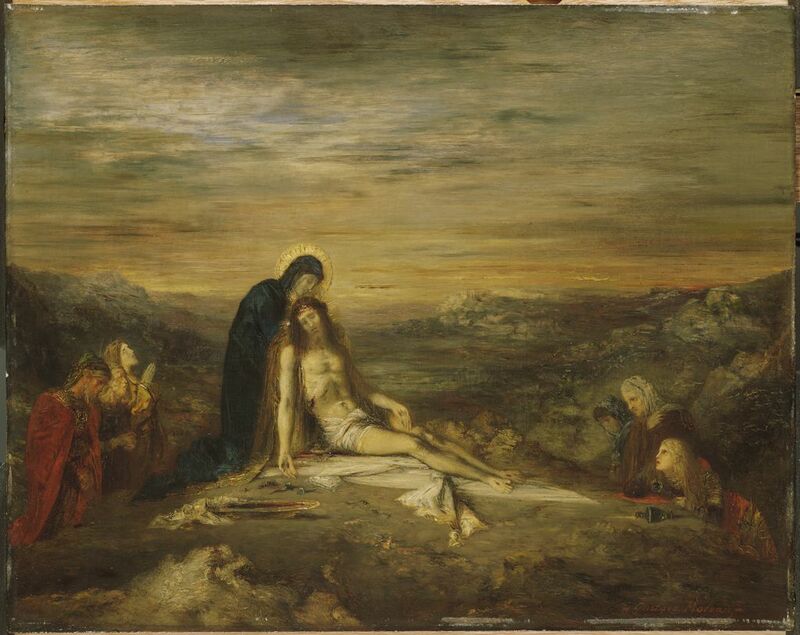 These past few days, we’ve had a flurry of beautiful biblical women in our advent offerings, so I thought I’d keep up with this theme for one more day, giving me the chance to share a gorgeous image from the most talented Symbolist artist Gustave Moreau. 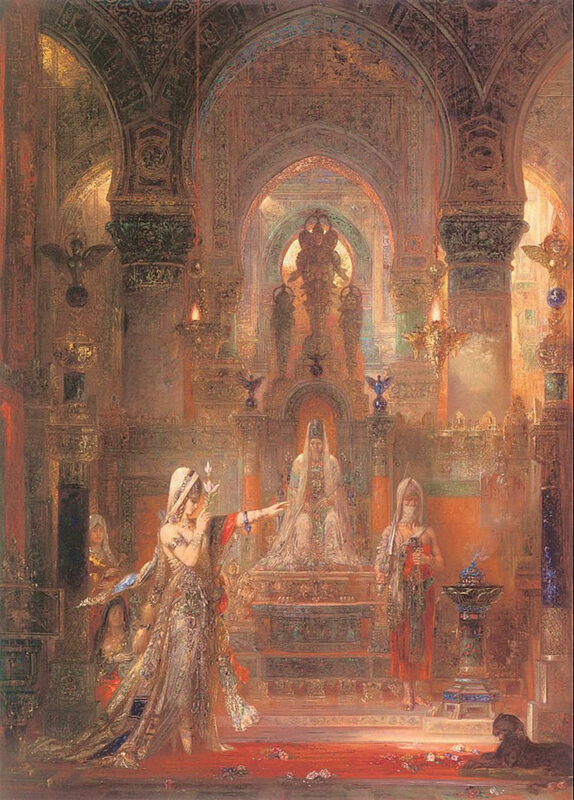 I’ve spoken about Moreau’s work before on this blog (see here and here). His use of colour is breathtaking and there’s always something ethereal about his images – an otherworldliness that can conjure up in the viewer’s mind a myriad of dreams, fantasies, and desires. 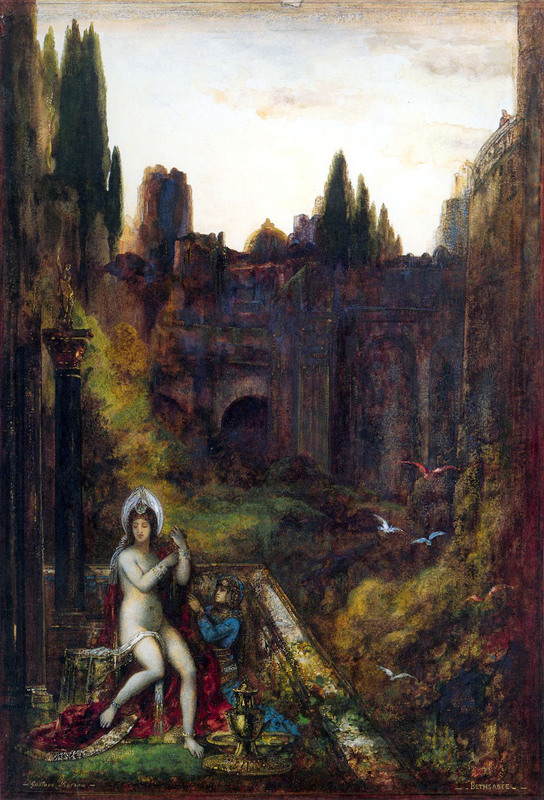 The image I’ve chosen today is the Shulammite from Song of Songs. 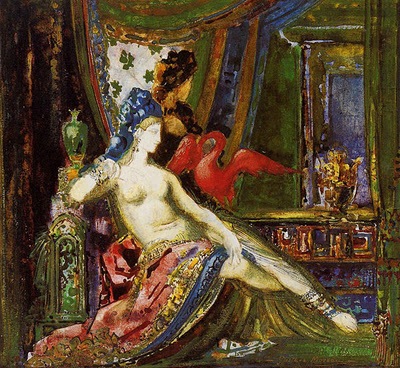 Moreau paints her as a languid, exotic beauty, raven-haired and heavily bejewelled, standing within an opulent setting (look at the colour and detail on the pillar behind her) with the glorious turquoise and gold evening sky as her backdrop. She looks straight at us, inviting us to join her for a little while, so that we too may enjoy the warm summer’s eve breeze, feel the coolness of the marble beneath our feet, and breathe in the heady scent of the flowers she holds in both her hands. Enjoy her company while you can though, for soon she’ll be off, disappearing into the night, searching for her beloved. BTW, a couple of books have been published this year about Song of Songs by Theology at Auckland favourite Dr Yael Klangwisan (who is based at Laidlaw Theological College). Details of both Yael’s books can be found here and here – definitely worth checking out. 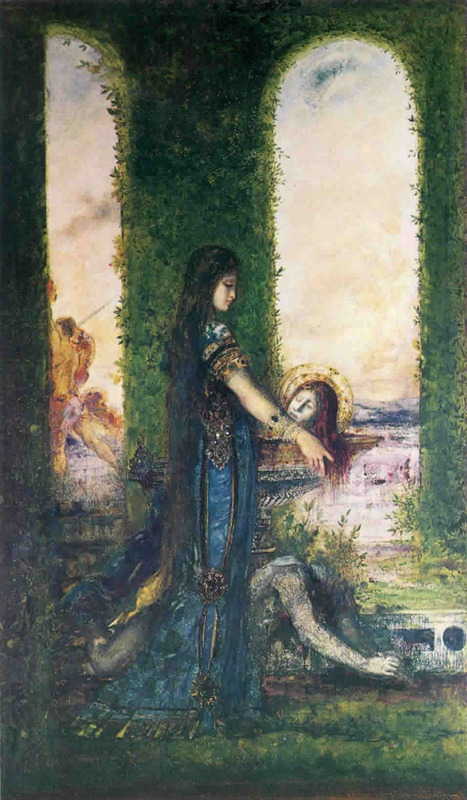 After yesterday’s dalliance with a notorious biblical woman, I thought I’d continue the theme today with another biblical character who, like Delilah, is often labelled a femme fatale. 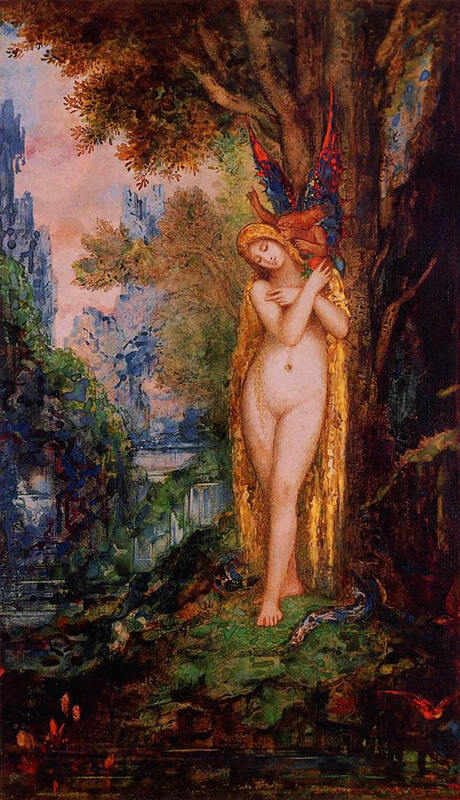 Eve has gotten a bad rap ever since she first bit into that forbidden fruit and passed it to Adam (Genesis 3) – but in Gustave Moreau‘s painting, who could resist such a gorgeous creature? She stands amidst a rich background of sumptuous colour, hair hanging down like a rippling golden curtain, looking rather coy and unsure, as the strange, winged serpent-demon whispers words of persuasion into her ear. 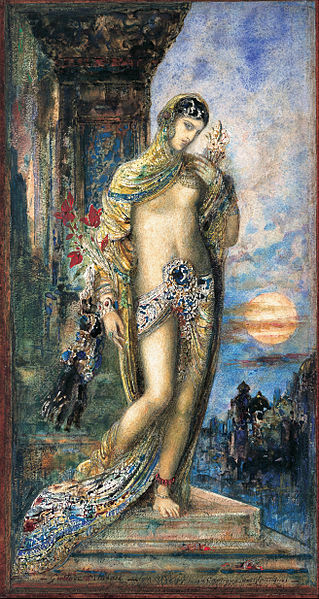 Like many Eves in art from the fin de siècle period, Moreau’s Eve seems to act in a vaguely flirtatious manner with the serpent – she’s less afraid of it than coquettish and intrigued. Her hand rests gently beside it in a gesture of intimacy…and is there just the vaguest hint of a smile playing around her mouth?